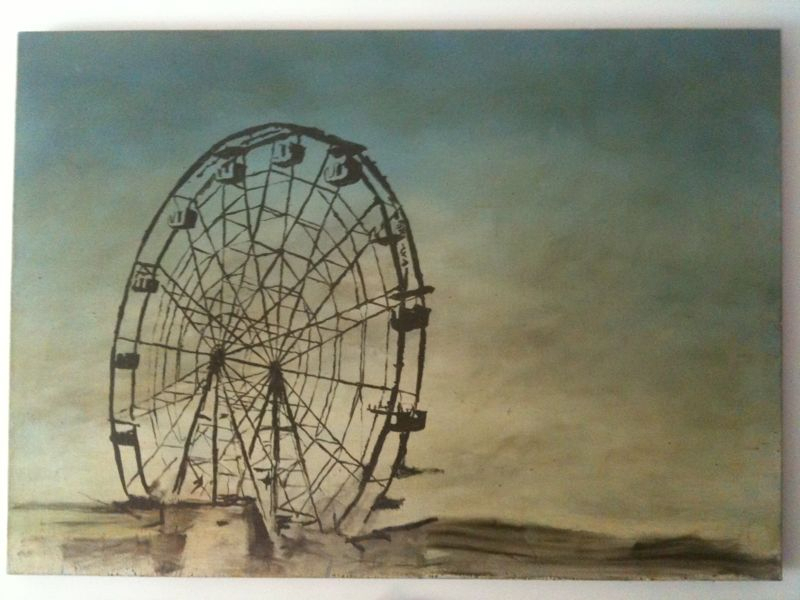 Photo of a painting of a ferris wheel and sky which I made in the 1990’s. The sky has a lot of glazing and it’s developed some nice crackling on the surface. I’m pretty happy with the way it’s aged. This entry was posted in Uncategorized and tagged Art, art fredini, Coney Island. Bookmark the permalink.